Last night it was announced that the Titans had reached an agreement with defensive end Ropati Pitoitua on a 3 year extension worth 9.6 million dollars. The deal includes a $2.175 million dollar signing bonus and a base salary of $975,000.00 in 2014. 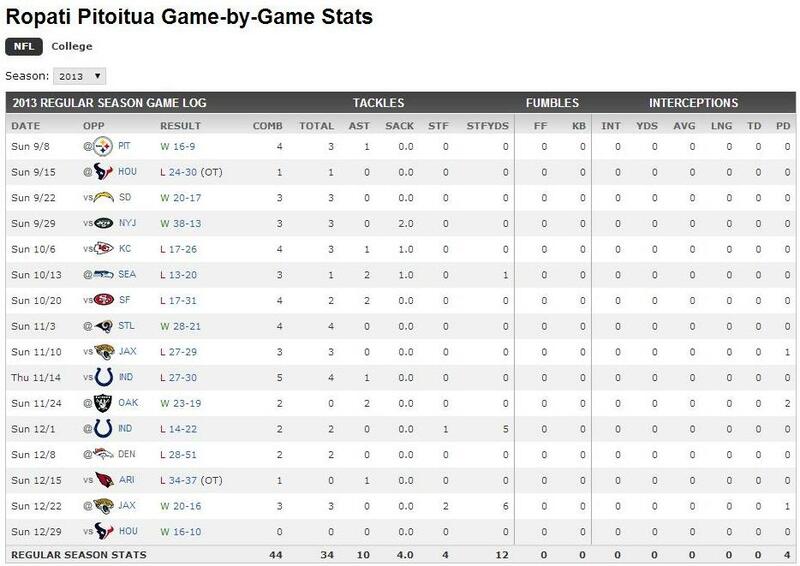 As the Titans move to a hybrid defense with a 3-4 base, the move makes sense since Pitoitua has played it and seems a more natural fit for that scheme. A 2008 undrafted free agent, he has played for the New York Jets (2008 -2011) and Kansas City Chiefs (2012) in their 3-4 schemes at both the left and right end positions. I wasn’t as excited about the signing as some though his 2013 numbers were overall fairly good. He finished the year with 44 tackles, 34 solo, 4 sacks and 4 tackles for a loss. Additionally, he finished the season with 29 defensive stops. 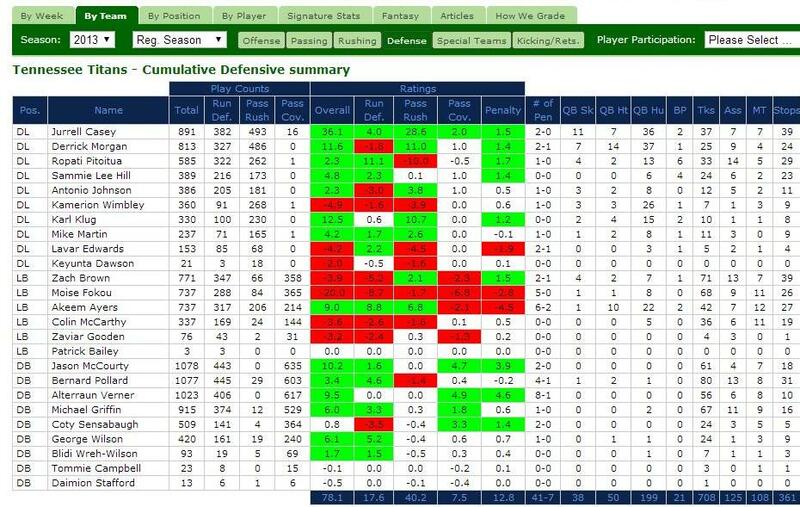 In terms of overall defense, he rated out well in the run game per Pro Football Focus. 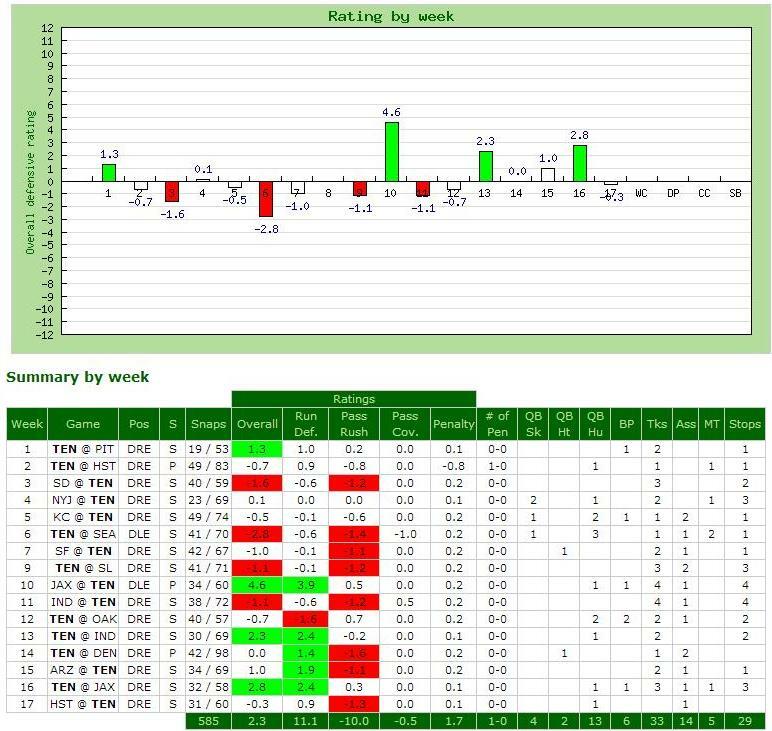 His pass rush grades weren’t that great however. He was known as a run stopper so the run numbers were to be expected. When you look at a game breakdown of the grades, you get a better picture of the numbers and the grades. RoPo’s best game grades of the year came against the Jacksonville Jaguars, Indianapolis Colts and Arizona Cardinals. Those three teams finished in the bottom half of the league in offensive line rankings per PFF. The Cardinals ranked dead last with Jacksonville coming in at #30 and the Colts at #24. How did he fare in the 3-4 defense? About the same as he did in 2013 with the Titans. 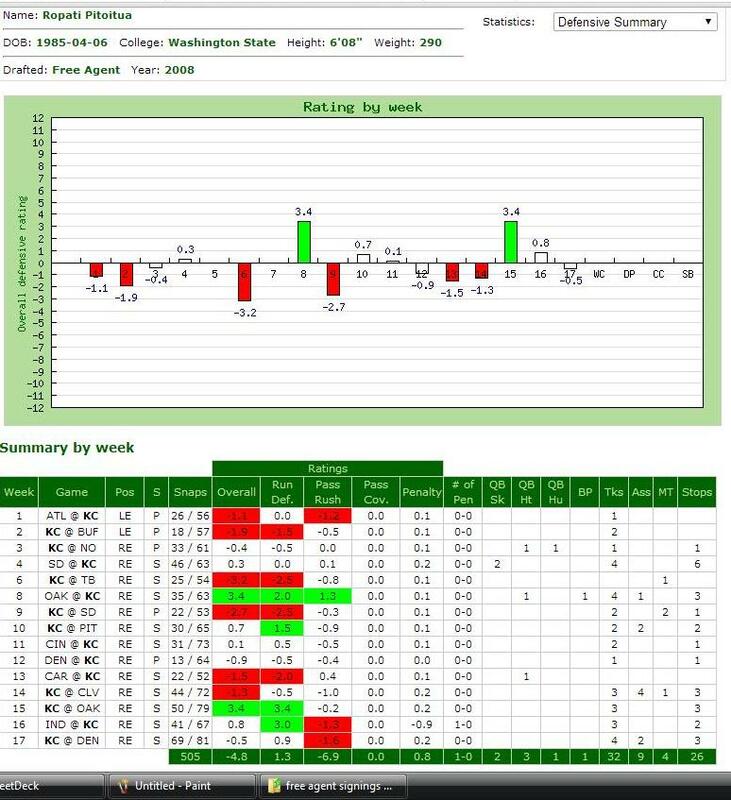 Here are his 2012 numbers and grades which are fairly representative though he played more snaps that season. He did not play in 2008 or 2010. I look for Pitoitua to continue to be a rotational player in 2014 and that is not a knock on him. His skill set fits that role best and the Titans will look to bring in a complimentary player who can help rush the passer. Karl Klug has one year left on his rookie deal, has played in their 3-4 scheme in 2013, and is a good pass rusher and who would be a complimentary piece to Pitoutua. In any event, congrats to RoPo on his extension and on the birth of his child born yesterday as well.